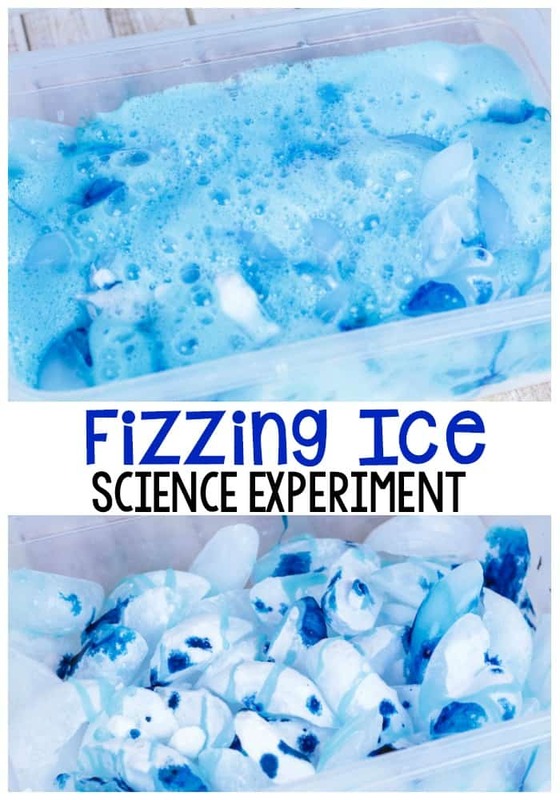 You and the kids are sure to have fun with this exciting Fizzing Ice Science Experiment. Sometimes all you need to make a classic science experiment fresh again is a fun new twist. 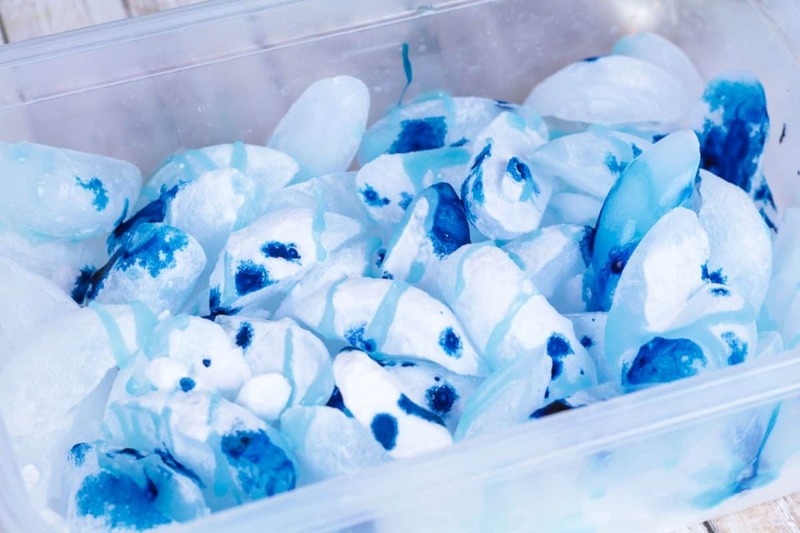 This wintery twist on the classic baking soda and vinegar experiment will keep kids entertained. 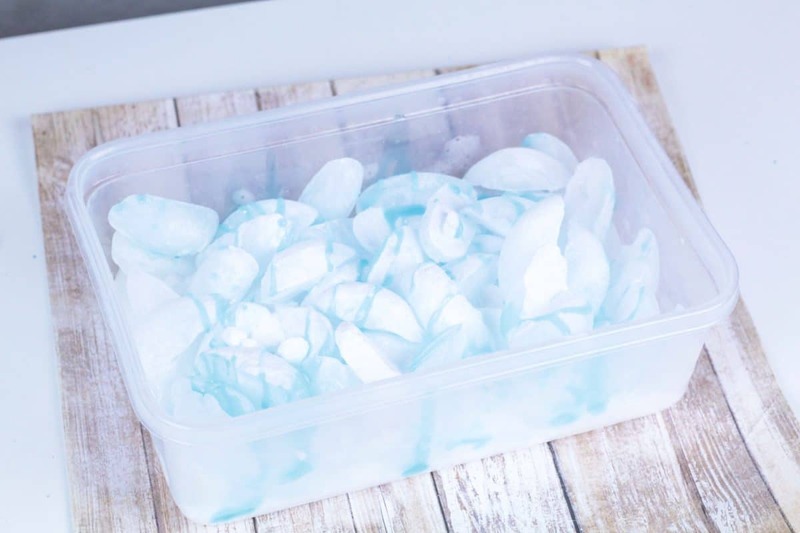 You can use the experiment to teach kids about endothermic reactions, acids and bases, chemical reactions, and how when acetic acid and sodium bicarbonate mix, they create carbonic acid, which quickly dissolves into carbon dioxide and water. But don’t worry about all the acids in this experiment, it’s completely safe for young kids to touch. 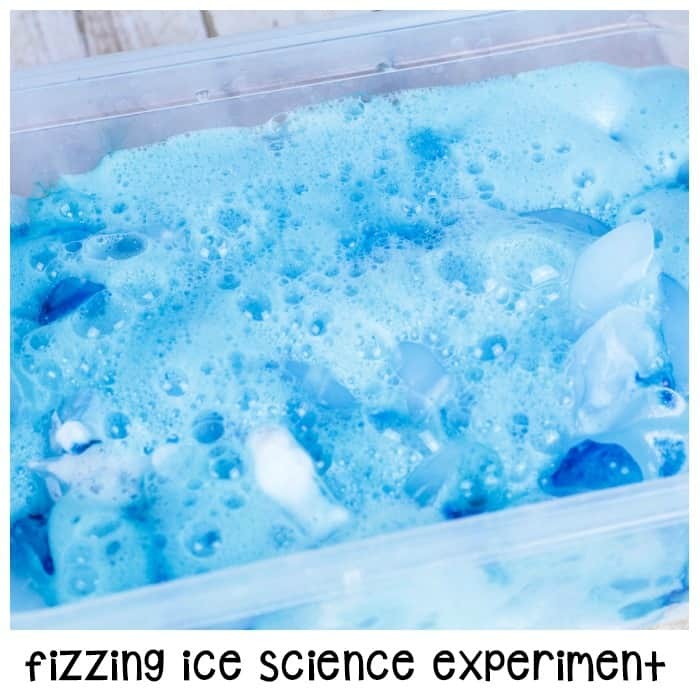 If your kids love science, they will have a blast with this fizzing ice science experiment. it’s the perfect winter science activity! Fill a container with ice. 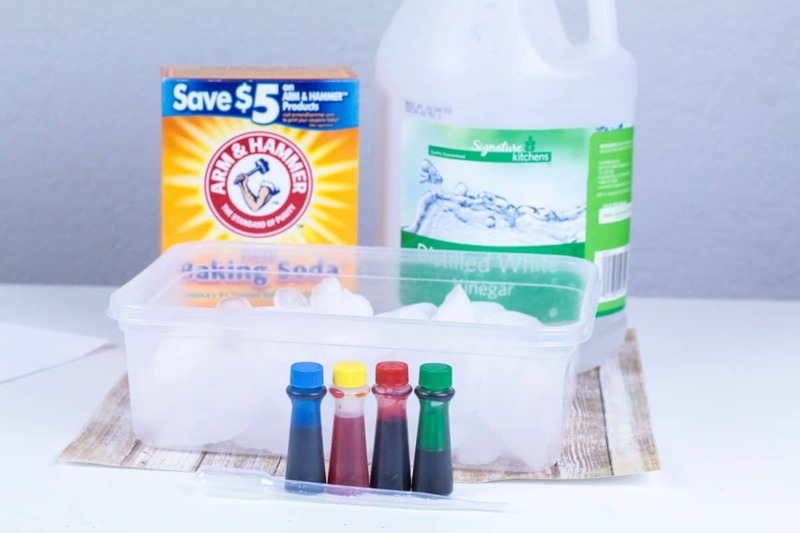 Cover the top of the ice with baking soda, food coloring, and dish soap. 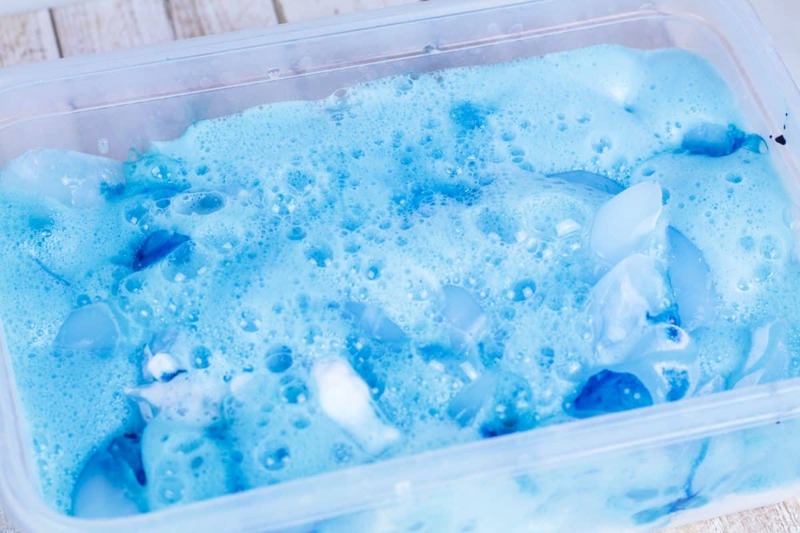 The dish soap doesn’t help the reaction, but it does help preserve the carbon dioxide and keeps the reaction going longer. Vinegar is a mixture of salt, water, and acetate acid. Baking soda is a mixture of sodium bicarbonate and a few other materials. The acid and the sodium bicarbonate react, creating a chemical called carbonic acid. Carbonic acid is unstable, so it falls apart and turns into carbon dioxide gas and water. The carbon dioxide is lighter than air, which causes the mixture to fizz. Once all the carbon dioxide escapes, all that is left in the container is sodium acetate and water. This is why eventually, no matter how much more vinegar that you add, the mixture will no longer react. 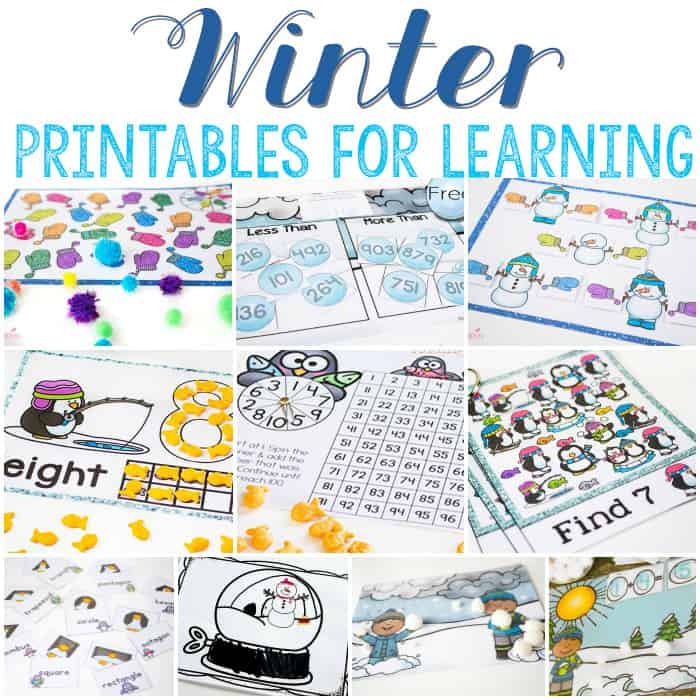 Get More Activities for Your Winter Theme!